Ocean currents play a key role in Earth’s climate – they are of major importance for navigation and human activities at sea and impact almost all processes that take place in the ocean. Nevertheless, their observation and forecasting are still difficult. Here, we review the main techniques used to derive surface currents from satellite measurements and the existing approaches to assimilate this information into ocean models. Large internal waves may be a great danger to offshore structures. The breaking of such waves may strongly modify the seabed. Their core properties depend on how temperature and salinity vary in the water column. These variations are represented by three vertical locations and four coefficients of the relevant equation. We established how these seven quantities vary in the South China Sea for waves of the second mode (which create compressions or expansions of the intermediate water layer). A method is proposed to determine the temporal decay rate of turbulent fluctuations, and is applied to four-point magnetic field data in interplanetary space. The measured decay, interpreted as the energy transfer rate in turbulence, is larger than the theoretical estimate from the fluid turbulence theory. The faster decay represents one of the differences in turbulent processes between fluid and plasma media. Here with a simple coupled model that simulates typical scale interactions in the climate system, we study the optimal OTWs for the coupled media so that climate signals can be most accurately recovered by CDA. Results show that an optimal OTW determined from the de-correlation timescale provides maximal observational information that best fits the characteristic variability of the coupled medium during the data blending process. It is analytically shown how competing nonlinearities yield multiscaled structures for internal solitary waves in stratified fluids. These solitary waves only exist for large amplitudes beyond the limit of applicability of the KdV/mKdV equations. Multiscaled waves without vortex cores are shown to be structurally unstable. It is anticipated that multiscaling phenomena will exist for solitary waves in various physical contexts. The optimisation of simulation paths is sometimes misleading. We can find a path with the highest probability by the method of least squares. However, it is not necessarily the route where the paths are most concentrated. This paper clarifies how we can find the mode of a distribution of paths by optimisation. We study the dynamical properties of the Northern Hemisphere atmospheric circulation by analysing the sea-level pressure, 2 m temperature, and precipitation frequency field over the period 1948–2013. The metrics are linked to the predictability and the persistence of the atmospheric flows. We study the dependence on the seasonal cycle and the fields corresponding to maxima and minima of the dynamical indicators. Deriving a generalization of Long's equation to non-isothermal flow shows that Long's equation has (approximate) soliton-like solutions, provides a transformation that linearizes Long's equation (and analytic solutions), and provides analytic solutions for a base flow with shear. 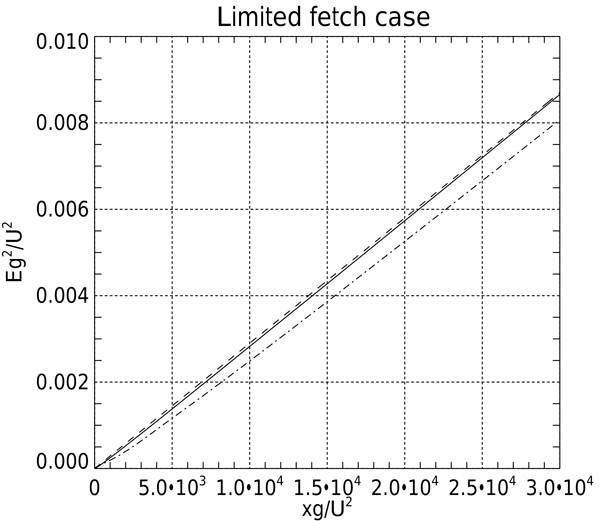 A preliminary estimate of the drag force per unit mass on typical low-Earth-orbiting satellites moving through the ionosphere during Carrington-type super magnetic storms is calculated by a simple first-order model which takes into account the ion-neutral drag between the upward-moving oxygen ions and O neutral atoms. It is shown that oxygen ions and atoms can be uplifted to 850 km altitude, where they produce about 40 times more satellite drag per unit mass than normal.